"Self-replicating" means the cell can divide and to form cells indistinguishable from it. The "three primary germ layers" -- called the ectoderm, mesoderm, and endoderm -- are the primary layers of cells in the embryo from which all tissues and organs develop. 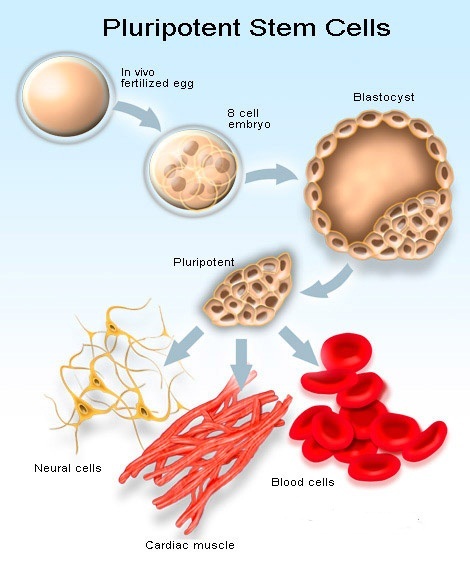 Human pluripotent stem cells are also known as human embryonic stem cells.